I work most of the week as a Microsoft SQL Server Database Administrator. 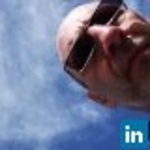 As such I am responsible for building and managing my company's (McCann Erickson) databases. I...Read moreI work most of the week as a Microsoft SQL Server Database Administrator. As such I am responsible for building and managing my company's (McCann Erickson) databases. 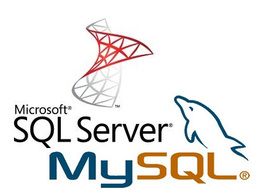 I am also available 1 to 2 days per week for any projects using SQL Server MySQL or Access. I have 18 years experience in database design and in particular integration of data from different sources and automation of data management. During this time I have often worked with large data sets that required careful optimisation to get the best query performance, one example being a data warehouse for UPS. Very pleased with Allen's work and looking forward to passing more to him. Allen was very professional and knowledgeable. He fixed my database problem and gave good advice on future security. Highly recommended! Allen works quickly and efficiently and is expert in his field. Honest and easy to work with. Recommended. Great technical guy, understood the requirement and delivered quickly. Great to work with. This was our first use of a peopleperhour.com resource. Mr. Davidson is a delight to work with. he has very good deep knowledge and worked well with our team.